A leak in your roof, no matter how large, is something that needs to be taken care of. If you are a homeowner and want to protect your family and your belongings, you need a qualified residential roofer. 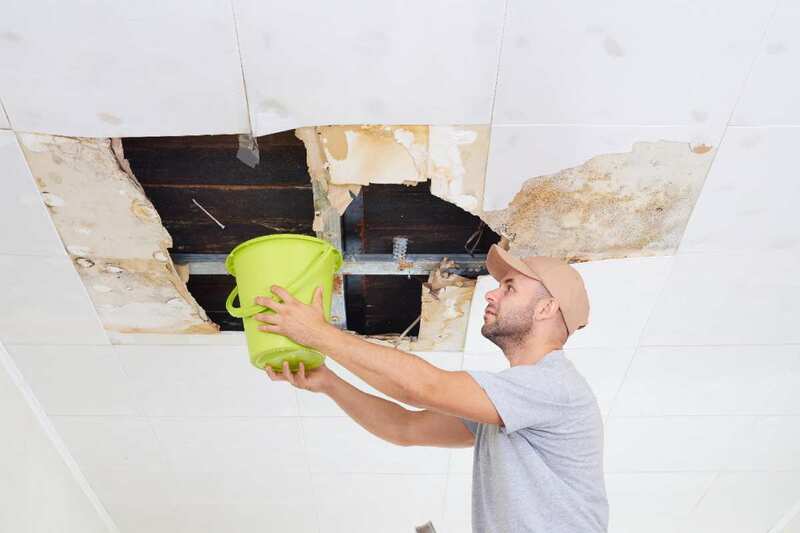 There are 3 different types of damage that you may need to deal with if your roof does leak. What Can Cause Roof Damage? There are three main ways that your roof can be damaged. They are tree limbs/falling debris, weather damage, and improper installation. The best way to avoid the tree limb and falling debris damage is to take advantage of preventative maintenance. Remove any dead or damaged tree limbs and make sure that no branches are hanging over your roof before a storm. If you do this and have a trusted roofer install your roof and gutters, you should be able to avoid most leaks. When water enters your home through the ceiling and walls there is a high likelihood that it comes in contact with your electrical outlets and wiring. These issues can range from a few dollars in damage to thousands of dollars. It can cause your breaker to trip, start a fire, damage appliances, or injury you or your loved ones. If you notice that they is water coming through your roof make sure you have a residential wiring contractor guarantee that your house is safe. Water damage can cause mold and mildew to grow in between your walls or in your attic and other rooms. Mold and mildew start to grow in warm, dark areas of your home and it may be challenging to pinpoint how much water got into these areas if the roof is not repaired quickly. You need to check and make sure that the drywall and insulation are clean and that they are mold-free. Small leaks can turn into major headaches and much bigger repairs if you are not careful. Once the area of the hole is damaged, there is a much greater chance of the hole to grow and cause more damage to your home. You need to get a roofer to your home as quickly as you can so that you can avoid a serious issue.